I enjoy learning how to create. Knowing that I am never going to be the best fill-in-the-blank (blogger, podcaster, gamer), I just enjoy learning the process, experiencing a small amount of success, and then moving on to the next thing. Occasionally, I’ll go back to something I’m already familiar with, but more often than not I’ll have to put a new twist on it, or alter it in some way to keep it interesting to me. I’ve noticed others in my circles doing the same thing. Roger Edwards re-invented his podcast at least twice and his blog one time in the few years that we’ve been contemporaries. 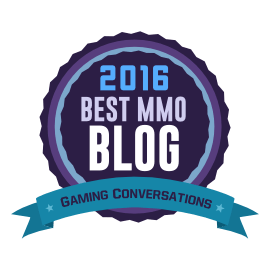 Jessica Cook and Murf have both rebooted their blogs to include all sorts of other subjects besides gaming. It appears that even when we grow tired of a certain subject or process, the need to create still tugs at our soul. During the past two years, I’ve blogged very little and podcasted even less. Most of this was due to my season of life (driving four kids around to various events and activities takes up a shocking amount of my time nowadays), but some of it was also just good old-fashioned burnout. I was genuinely surprised when I recently looked at the date of my last Beyond Bossfights podcast and realized that nearly two years had passed instead of the one year that I had previously thought. During this time, I have had some urge to create content, but it was always suppressed by the memories of trying to schedule guests, come up with topics and questions, and the late-night editing sessions that had worn me down in the past. I don’t think things usually come full circle. That would imply that everything we’ve learned over the journey has just led us to the same place we started. However, I do think that sometimes we spiral upwards. I’m feeling the itch to create something again. It won’t be the same thing as before, because nothing ever is. It could be similar, but better. It could just be different. But being gripped by the uncertainty of acceptance and assurance of quality again is kind of exhilarating. Is this an announcement? No. Because the actual release of the project is far from assured. There has been at least one other that I’ve tried to launch over the course of the last two years that will never see the light of day. But I do have a better feeling about this one, and at least for the moment, it’s scratching the itch.